This week I am in Las Vegas, working with colleagues at a school and also presenting at a conference. It has been a very productive and inspiring week. One of the ideas, which we explored is efficacy in teaching and learning. What makes an effective teacher, learner, and/or principal? And, then today I was able to watch an effective principal, Connie, in action as she worked her magic. The problem at this school is that the intermediate students (6th and 7th graders) are not reading well. This group is the most vulnerable in a school which focuses on the needs of low-income and at-risk students, and speakers of other languages. In others words, this particular class is filled with students whose social, emotional, academic needs are many and complex. These students are the most-challenging group of reluctant readers. Enter Connie, the principal, with a plan to support the students’ reading, while at the same time to model and mentor the teachers in the school. Her plan was to create learning groups and to use high-interest novels. Her goal is to make these stories comprehensible and compelling for the students. In addition, she led this transformative process, and brought in other teachers to take part and others to observe. We entered the classroom, and the students were seated quietly waiting for her. She greeted them and immediately went to the white board and drew a large quadrant. The students drew a large blank quadrant on their blank paper on their desks, which indicated to me that they knew from past experience that this would be their graphic organizer for the day. Next, Connie moved into the lesson of the day. She asked the groups who knew what an acronym was. She and the students agreed that it is an abbreviation formed from the initial letters of other words and pronounced as a word. 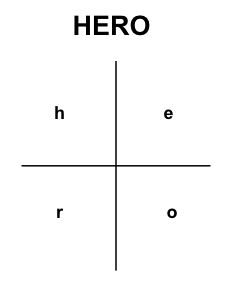 Connie explained that her acronym of the day is HERO, and she filled in the quadrant with the letters. 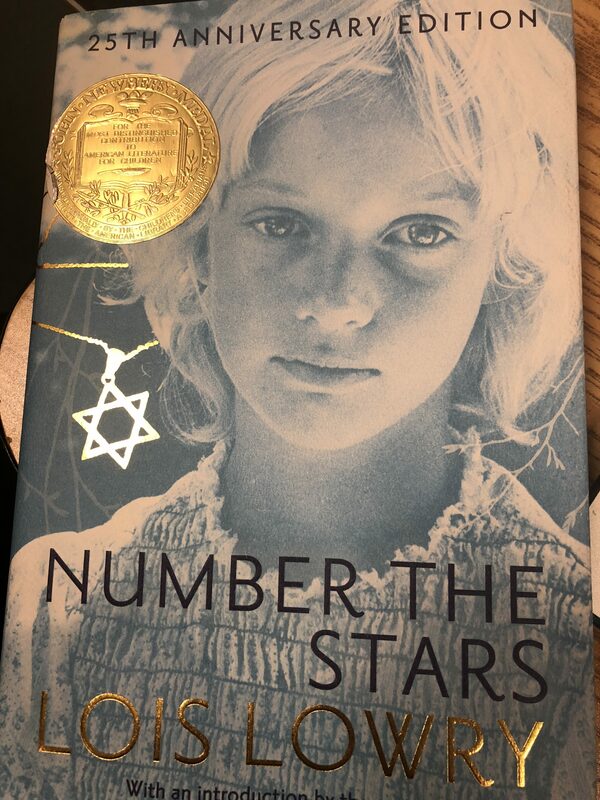 Connie held up her copy of Lois Lowry’s Number the Stars, the classic story of a Danish girl and her family’s dangerous struggles to smuggled Jews our of their Nazi-occupied homeland to their safe haven in Sweden. Connie began by asking the students what they had read the previous day, and a brief whole-class review of the book followed. Next, Connie moved into the lesson of the day and the three chapters which each group would be reading. She gave hints of what was to become of the characters and the plot in today’s reading–she made me want to grab the book and start reading. 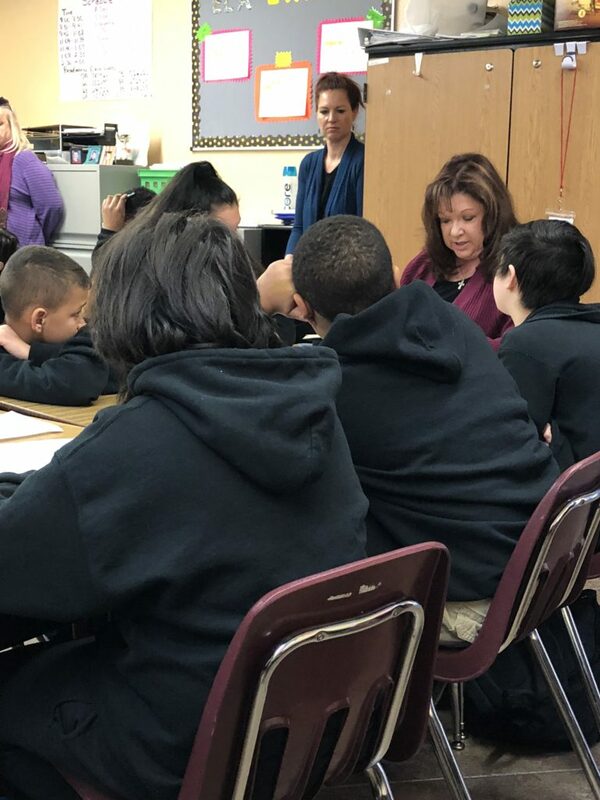 Please notice the teacher in the background, who is carefully watching what Connie is doing as she reads with the students. In addition, note how the students are listening intently. Teachers, here is what I saw Connie, the principal and instructional leader, doing. •Model: She went to the classroom and demonstrated one way of teaching reading. •Mentor: She invited other teachers to take part and learn with her and from her. •Scaffold the students’ learning: When you forget what scaffolding is, always think of how kids learn to ride a bike: Gradually a family member slowly releases the support, and the child is suddenly riding alone. I have posted here some other ways of scaffolding. If you want more materials on scaffolding, just go to my home page, scroll to the bottom right, and find the SEARCH bar; type in scaffold. •Review/View/ Preview: Teachers often (a) review the previous lesson; (b) talk about what will take place today; finally, (c) teachers share what students will learn tomorrow. Readers/Writers Workshop is a very effective method, which teachers often use. Connie was using her variation of reading & writing workshop. We presented at the CARE Conference (Conference on Academic Research in Education), which is paired with EQRC and AABBS. The three conferences run concurrently, and all three focus on ethnographic and qualitative research. 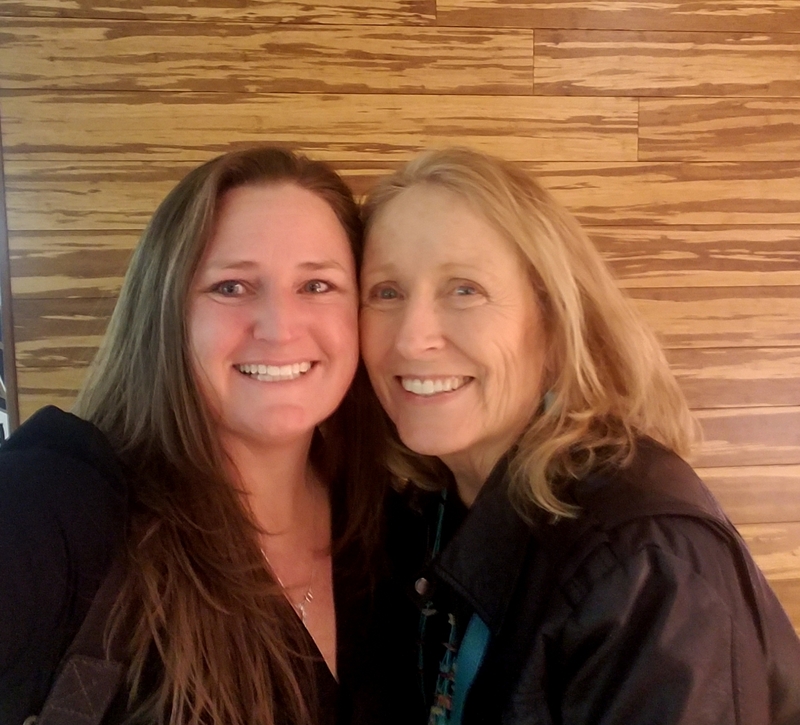 Le Putney, who was once my graduate student at CSU Stanislaus and who is now a full professor at UNLV, is lead researcher on our focus on efficacy. Chyllis Scott was also one of my grad students in CA and is now an assistant professor at UNLV. Chyl, Le, and I shared our understandings of mentoring. 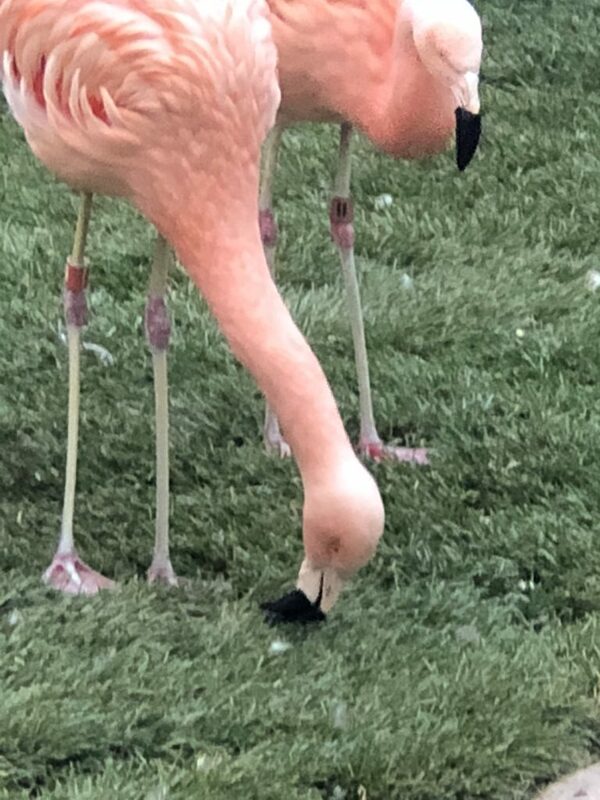 And, of course, I loved the flamingos in Las Vegas. And, look, I found an avid reader at the CARE conference! 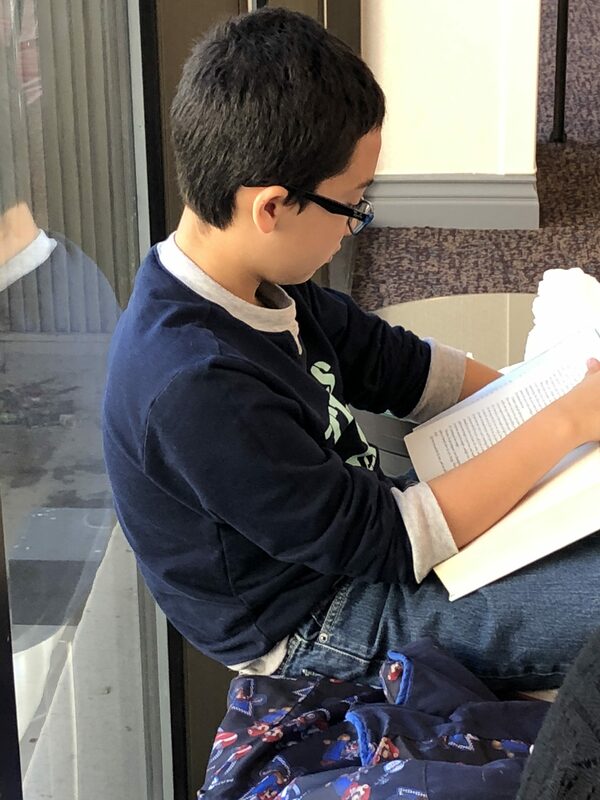 He was waiting patiently for his parents, who were at the conference, as he read All The Light You Cannot See by Anthony Doerr, which is a book for adults about WWII and a young blind French woman and a young German man. The few days spent with Joan were a whirlwind of ideas, mentoring, extending, catching up, and reaching beyond our previous selves. 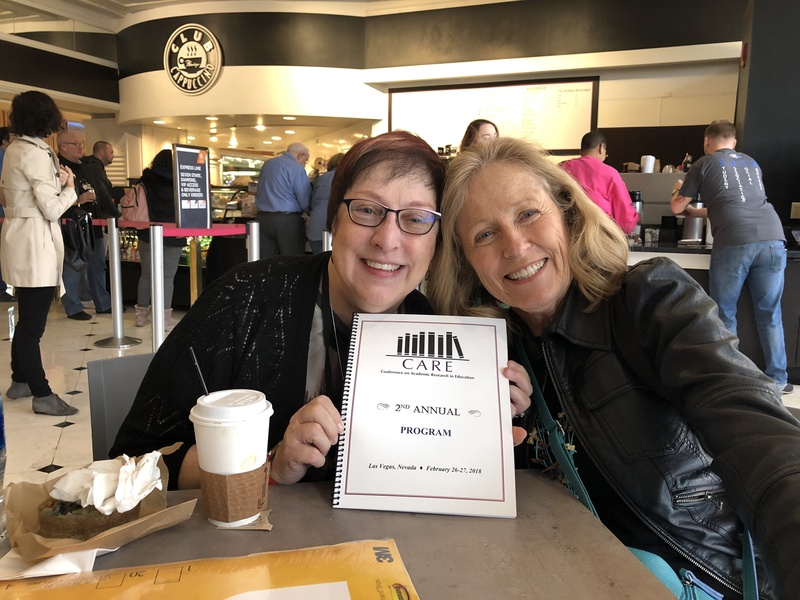 With Utah State Uni Colleagues, Susie Jones and Shellie Nordick, we presented at CARE the practices of facilitative school leaders and Connie became a telling case for us, so Joan’s observation was confirming what we presented at CARE. Joan and Chyllis- the photo with the teacher close by is an actual depiction of the Proximal Mentoring concept we presented at CARE so the intertwining of our work continues! Hey Le, great to be with you again, too. Yes, it was all a whirlwind: Now to capture it all, before getting pulling into all of the magic of the Tucson Festival of Books. Connie: Yes, a great case for us! Proximal mentee: YOu are right. Thanks for noting these examples.